Already read our guide on the best bodyboards, got your new board, but now struggling to get any grip? This 2-minute guide to getting more grip from a bodyboard is all you need to read to fix the issue. Are You Supposed To Wax A Bodyboard? 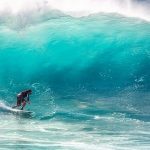 Where Do You Need To Apply Bodyboard Wax? Bodyboards are notoriously slippery when new. If your board is anything like mine straight of the box, it’s a struggle to stay on it. If my hands are on the rails of my board, I can just about stay on, unless the surf is rough – then I have no chance! The biggest problem I had with my new bodyboard? There was literally no way I could paddle with the grip on offer. As soon as my hands came off the rails, I’d slip off the board. I couldn’t catch any waves unless I had the power to kick for them. Basically, I could be riding waves 2x bigger if I could paddle, but I couldn’t. 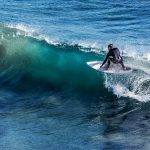 The quickest and easiest way to improve grip, is to apply bodyboarding wax. There are no specific bodyboard wax brands, but all the top surfing brands will do the job. We’ve created a detailed post on surf wax here. Some riders like to wax their deck, and others don’t. It comes down to one simple thing; do you have enough grip, or not? There’s little point waxing your board for the sake of it. Bodyboard wax costs money, takes time to apply and takes time to remove. 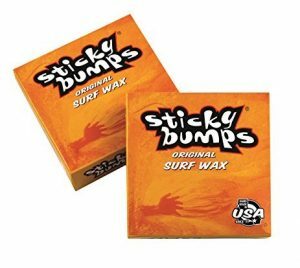 More importantly, wax creates a higher level of friction, and that’s going to transfer directly to the chest area in your wetsuit. That means the chest panel on your wetsuit will wear out faster than if bodyboarding wax wasn’t applied. An added and needless expense if you already have enough grip. But, my preference? Wax every time. The only reason you don’t apply bodyboard wax to the whole deck, is cash. Wax costs money, so there’s little point applying it where it’s not needed. Typically, the place on the board where your chest makes contact is the most important. That’s going to help you when paddling, and for when you lose your grip on the rails…it’s the only place I apply bodyboard wax. 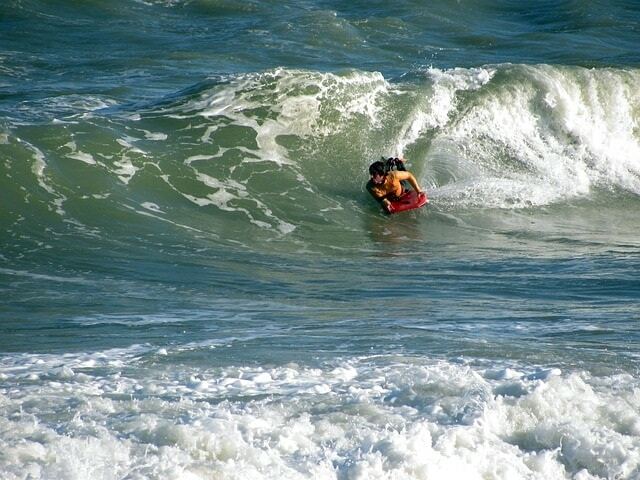 However, I have been on friend’s bodyboards, and their rails are much more slippery than mine. So, they apply wax there too. Any part of the deck that you need grip, apply wax – but focus on the chest area. Jump on our email list and we’ll drop you as line when we post something new. And, don’t forget to bookmark our outdoors page and pop back soon.